I know we all love Belle, but these ladies are vastly underrated. 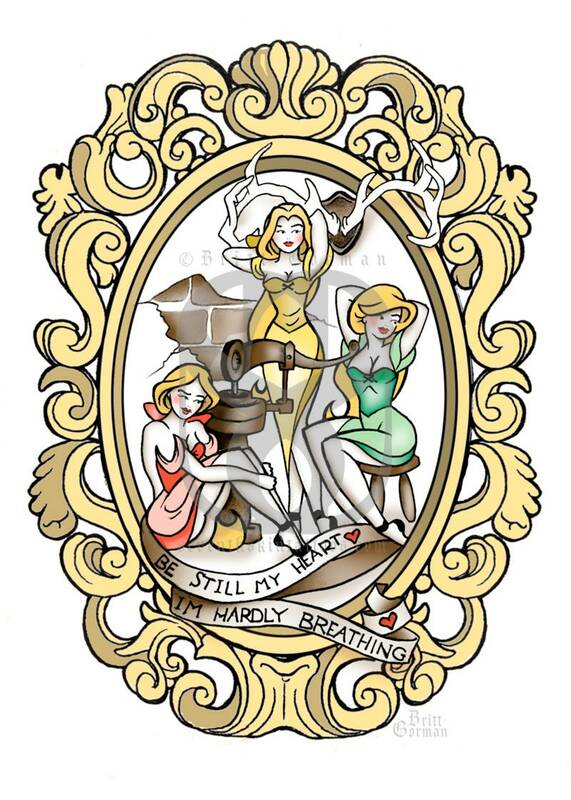 This is a tribute to the three blonde Gaston-groupies who have a taste for hunky, hairy men. It's easy to apply, and the color looks great. The ladies are done in a Sailor Jerry style that makes this a classic choice. All prints are signed by Britt. Print dimensions are 5x7" and 8x10." They are printed on quality lustre photo paper. They are shipped protected by cardboard in a rigid mailer.